A wet, miserable and grey Saturday we decided to take a trip out but do something indoors. 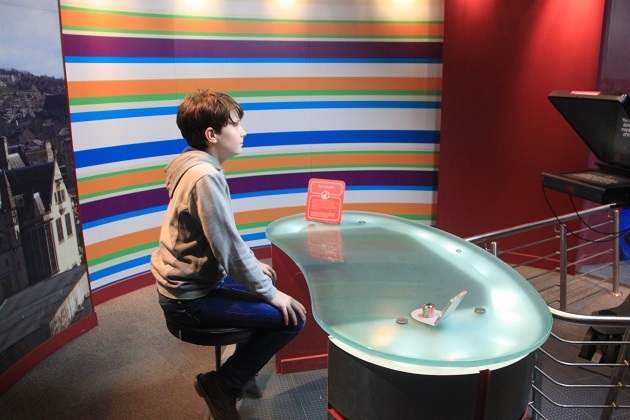 The National Media Museum in Bradford was a place I had long wanted to visit, we never seemed to get around to it. This trip fixed that. A drive in pouring rain to Bradford, we found the museum easily and managed to get a parking spot in the car park right behind. This is such a fun place to visit with seven floors of archives, galleries and exhibition spaces. They had special activities and exhibits going on – these looked unbearably busy – we avoided and got on with exploring the vast amount of other things on display here. We started at the bottom and worked our way up. The Kodak Gallery in the basement was practically empty. All to do with the history of photography from the first photographs right up to the digital cameras we know and love today and it was fascinating. I love photos and everything about them so this was right up my street. 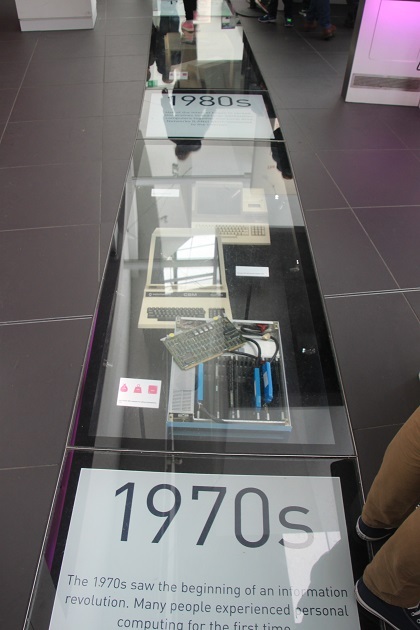 It was good for Son too, plenty of interactive stuff and the information was pitched just right – not too heavy. 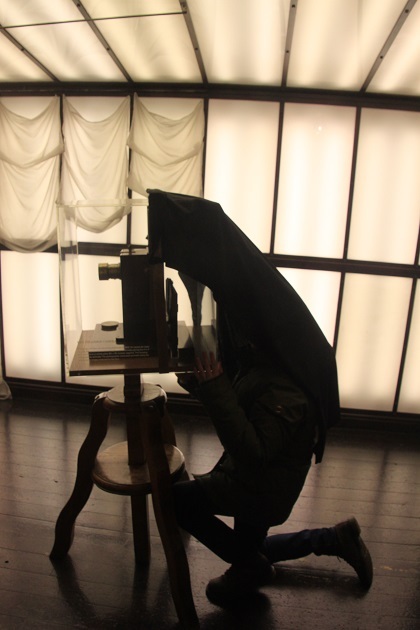 We read about how photographs were invented, saw a camera obscura and then walked into a reconstruction of a photography studio from the 1800’s complete with an old camera. Son was amazed at how incredibly bright it was, the walls and ceilings were lit up – a necessity to get a good picture. 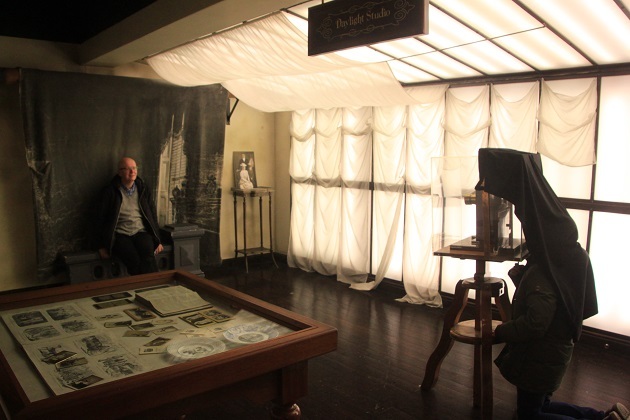 We also strolled through the Victorian drawing room next door which had more information on photography from that time. 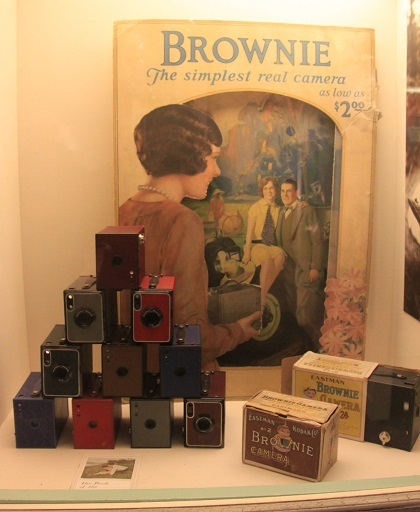 My favourite part was the camera displays – from Box Brownies right up to the most modern digital cameras, they had lots of examples here. I showed Son something similar to the first camera I ever owned, a much anticipated and treasured Christmas present – like a dinosaur these days. One level up we found a gallery all about the internet, its history and how it has changed people’s lives. 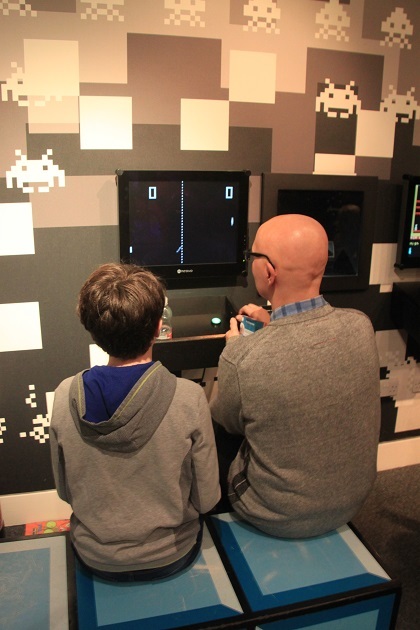 Son loved this area, not least because there were stacks of interactive games exploring the story of the internet. I enjoyed the floor display with old computers and electronic items under your feet. 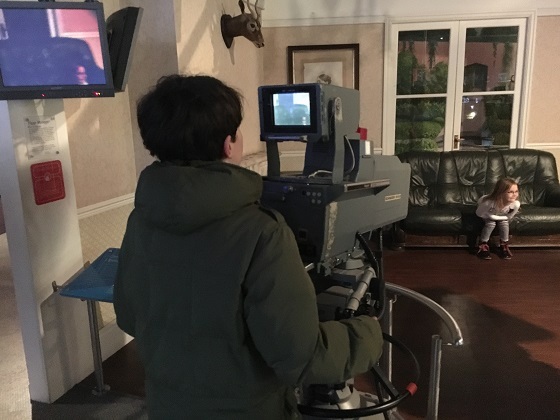 Experience TV was Son’s favourite area – all about television. We saw John Logie Baird’s original apparatus and found television sets from down the years. 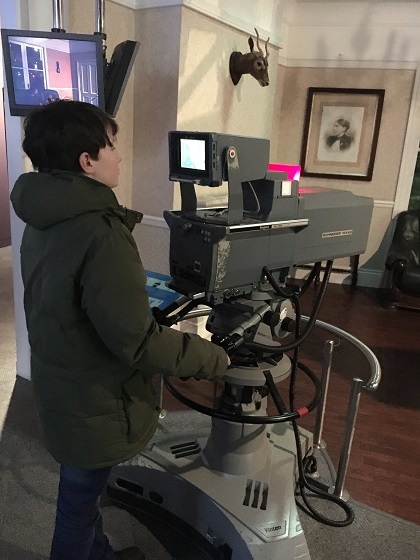 Son got stuck in at the production zone – he presented the news, operated a camera in a mock up studio and had great fun with a green screen. It was incredibly busy here but we enjoyed all the different experiences on offer. TV Heaven was another interesting area. 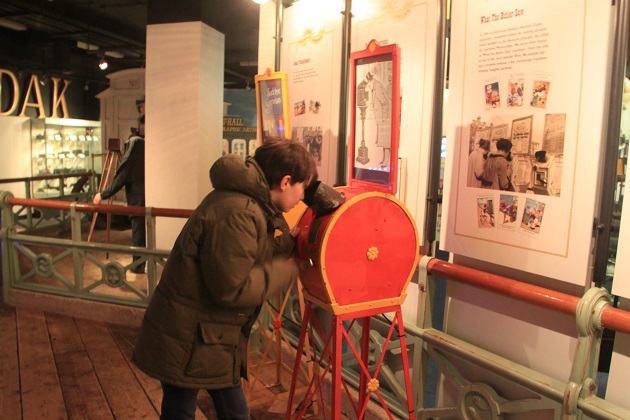 We saw lots of characters from children’s television down the ages, watched some TV programs from the past, saw iconic TV moments in a little cinema and and were enchanted by some very old adverts. The Games Lounge was a big hit too with classic games in their original arcade or console format and a bit of information about the history of video gaming. I remember the game they are playing below and the excitement it caused in our family. There is an IMAX cinema here too and some regular film screenings there. We didn’t do this due to time constraints but I thought it was interesting that the IMAX here was the first of its kind in Europe. The screen is so big it had to be lowered into the auditorium through the roof. We spent the whole day here, a brief stop in the gift shop and then we left at closing time. What a great museum, something for everyone and entrance is free. Thumbs up all round. It was a fun place, so much more than we were expecting too Suzanne! Looks good, especially for free, I’ll add it to my list of places to take the grandchildren! We enjoyed it, loads of fun things to try out and like you say free, you can’t really go wrong with that! I’m in awe of the fact that a museum as good as this one is free! I have a soft spot for dolls houses (I had one growing up and was always making things out of plasticine for it and begging my dad to help me make extensions to it!) 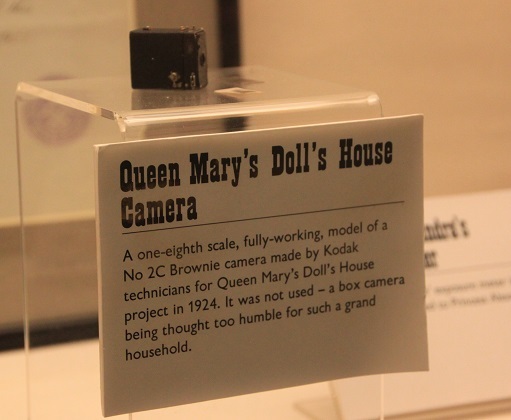 – the working scale model camera for Queen Mary’s dolls house is incredible, I can’t even begin to imagine the level of craftsmanship that went into making it. I love dolls houses too, my sister and I shared one and it was our favourite toy!! I just loved that little camera, imagine though that they never used it!! This is a great museum, we had such a fun day out and it is incredible that a place like this is free and accessible to anyone. I must have spent hours and hours playing with mine with my sister, concocting all sorts of stories! I used to love making outfits and soft furnishings, though these days I tend to stick to human-sized textile projects. Incredible to think they never used it – I wouldn’t have been able to resist the temptation!! Wow, Joy this is an amazing museum with so much that would interest most everyone…and for free!!! Looks like a fabulous day for all three of you! We loved it Pam – so much fun and so many things to try out, it was just great!! Have a great weekend. It’s a great place to visit, I’ve been several times and always found something new to see. Whilst in Bradford did you stop for a curry? ? The other thing the city is famous for! We didn’t – but now I wish we had!! I love curry… still an excuse to go back another time! Have a lovely weekend. What a wonderful looking museum! I can imagine my kids and I all spending a whole heap of time exploring it, definitely our type of thing. It looks to be very neatly presented and organised too. I am a history of photography nerd so that section would absolutely have been a hit with me whereas I could imagine my husband reliving his childhood in the video game section. It is a superb museum Laura with something for everyone. So much hands on stuff to keep kids occupied and like you say, so well organised and presented. We had the best day out, it exceeded our expectations for sure. It’s the kind of place I’m sure we’ll revisit more than once! It was wonderful, so much to see and do and all presented in such a fun and informative way. We had a great day out. Now that looks like a blast, must get there to see this. It absolutely was Terry, so much fun and so much to see and do. We are already wondering when we can go back! One of those places that there is a lot to see, excellent. It really was a great day out Rosemary, so much to see and do and it is a real fun museum as well as being educational. It was strange to see television sets my husband and I remembered now in a museum though!! Pouring with rain here today too unfortunately but at least it’s winter and we don’t expect anything else, it must be worse for you in Perth when it is summer… fingers crossed it improves for you! We have half term holidays now so I’m hoping it’s not going to rain all week here either….. enjoy your weekend too. I don’t think I would have got past TV Heaven, especially the 60s and 70s memorabilia. What happened to the Wombles? Guess Uncle Bulgaria is on pension now. I guess he must be Denzil!! 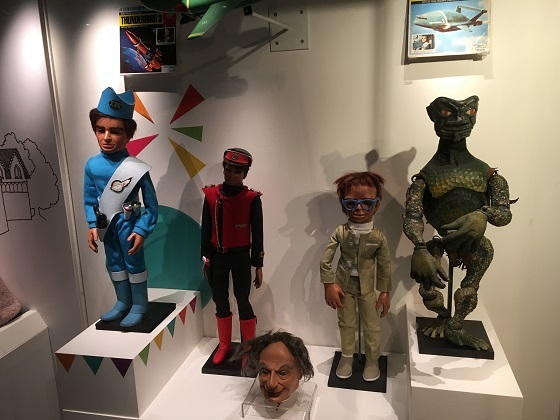 It was fantastic there, my husband and I loved seeing all our old children’s tv favourites, needless to say our son had heard of none of them! Yes I think that’s Captain Scarlet in the shadow of Scott Tracy. Can’t see any Mysterons though. I know that feeling exactly Anabel!! It seems to be still going strong which is great news as the museum is just fantastic and seemed to be very popular. Hopefully that continues! What an intriguing museum, Joy! 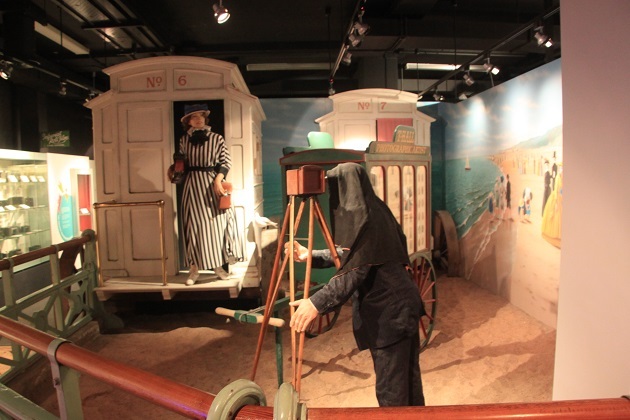 I like those old photography exhibits, and was amazed to see the Wombles in that one photo! In South Africa, we grew up watching mainly television series from the UK and from the US. Continental Europe not so much – but primarily UK and US; also, weirdly, many of them were dubbed into Afrikaans, even if they were originally in English, French or German. So those characters had very different voices. 🙂 It sure brings back memories! That’s so intriguing Reggie that the Wombles made it all the way to South Africa and were dubbed as well!! It really is a small world! We loved the museum and I found it very nostalgic to see all these characters I remembered and loved so much as a child. It was wonderful! 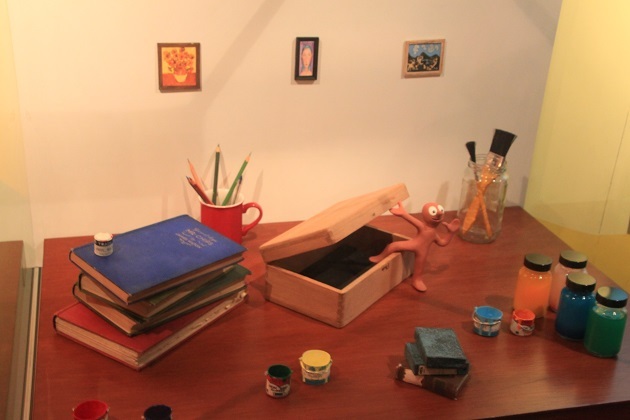 Wow, there’s so much going on in this museum… No wonder you spent the whole day there! 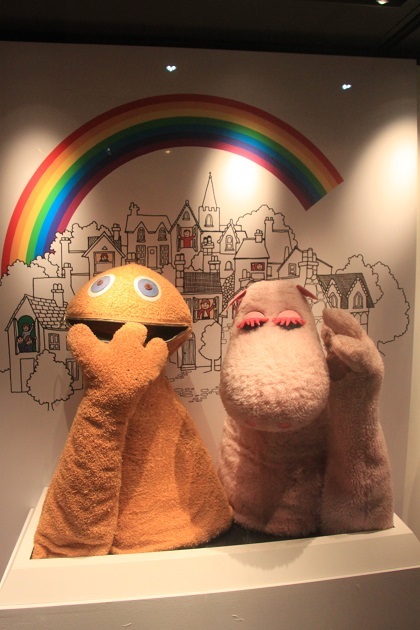 I especially loved seeing those characters from my favourite childhood TV shows – it’s been a while! 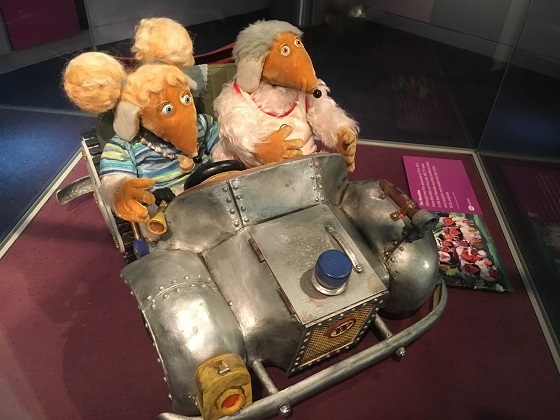 Very nostalgic seeing The Wombles and all those others for me too – loved that part! In fact I loved the whole museum, it’s such a great place. Oh wow, this looks amazing! 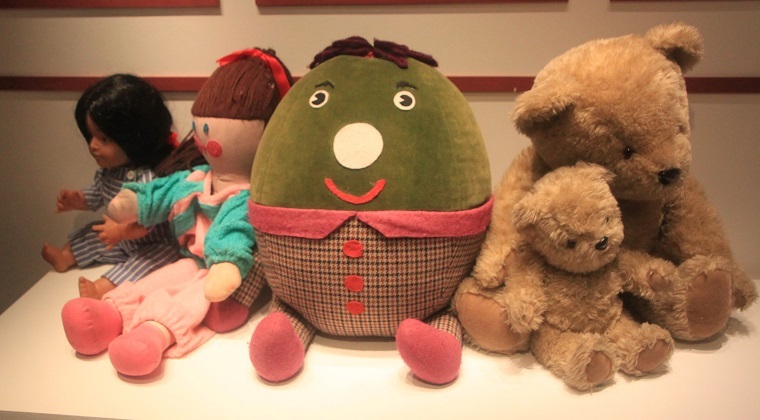 I had so many ‘oh’ moments looking at the pics- when I saw Humpty, Little Ted and Big Ted, swear, I actually teared up!! So amazing the feelings we attach to memories from our childhood. Thanks for sharing, this is definitely going on my list of places to visit!! I felt exactly the same way with the Play School toys – it is weird the effect these things can have on you isn’t it!! It’s a wonderful museum, I definitely recommend a visit, just be sure to leave loads of time – there is so much to see and do! It looks like a fun museum! Will definitely add it to the list for the next time I venture up North! It’s a great day out with so much on display and loads of fun things to get involved in too. We loved it, highly recommend but avoid in school holidays I think! I always think media museums work well for all the family. It was our go to wet weather destination in Turin. Your experience in Bradford sounds similar. It was loads of fun and we had a great day. Sounds like an interesting thing to do in Turin too! This museum is on my list of ones to go to – looks fantastic! It is very interesting but also with all the hands on and interactive stuff loads of fun. I definitely recommend!